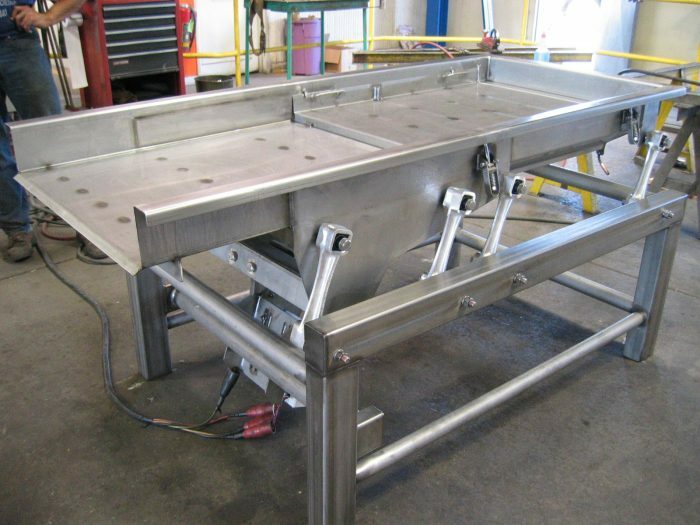 Known around the world for conveying expertise Commercial Manufacturing builds vibratory and belt conveyors custom designed to each client's needs and environment. In the vibratory family there are three distinct drive types, and in the belt conveying family there are three major types of materials in use. A multitude of variations are available including overhead frame, cantilevered frame, single- to triple-decks; lanes, corrugations, outlets, screens, chutes, gates, etc.